The Ragdoll Foundation was pleased to support The Babysong Project, a 2-year professional development project intended to engender mindful interactions between nursery baby room staff and babies through singing. The project’s findings were shared at a one-day seminar organised by the Ragdoll Foundation and hosted by Peterborough Regional College and University Centre Peterborough in November 2016. 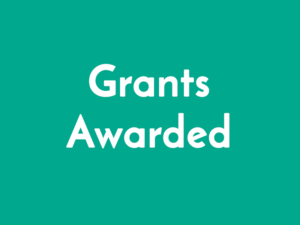 A grant was awarded to the Cultural Learning Alliance to support the Alliance’s work in influencing cultural learning policy, and building evidence to demonstrate the difference cultural learning makes to a child’s life experience. The Cultural Learning Alliance is a collective voice working to ensure that all children and young people have meaningful access to culture by helping to promote and protect access to cultural opportunities for all children and young people. The Ragdoll Foundation gave a donation to the Children’s Media Foundation to help extend their parental information service and continue their campaign to increase funding for children’s content in the UK. The Ragdoll Foundation supported The Story of Children’s Television from 1946 to Today exhibition held at the Herbert Museum & Art Gallery in Coventry and touring to other locations by the provision of Archive material from Ragdoll Productions.